Over the last 3 months (Aug to Oct) Jas has continued his ‘Deadly 15 Event Challenge’ aiming to run 150 miles over 15 Events aiming to raise £1500 for the homeless charity the Nomad Trust. Adding a further 73 miles to his total. 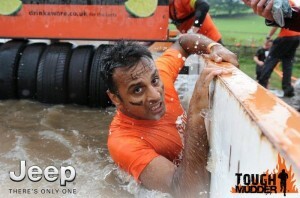 In August, Jas took on what has been dubbed ‘The World’s Toughest’ obstacle course, Tough Mudder in Leeds. 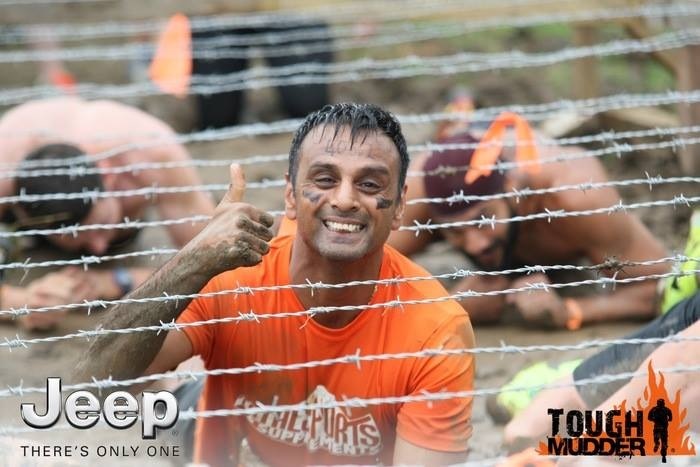 Over 11 miles he negotiated 25 extreme obstacles, include being submerged in tank of ice-cold water, (Artic Enema) and crawling under barbed wire (Slug Crawl). 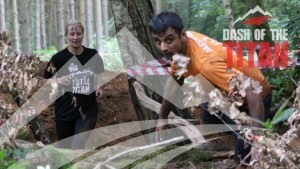 Here he is pictured going through these two obstacles. 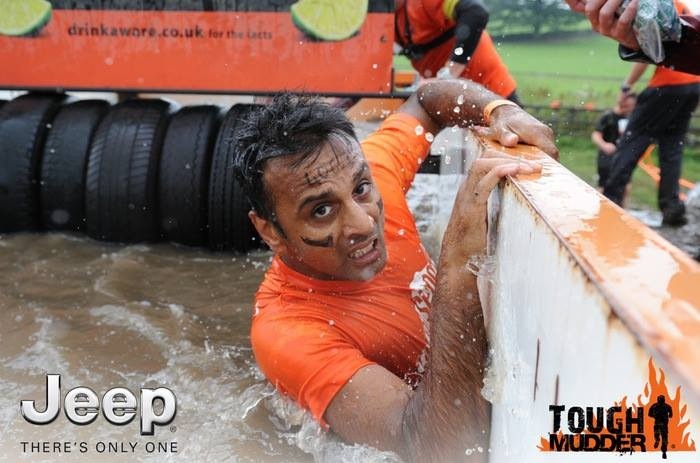 He enjoyed this so much on completing he booked straight onto another Tough Mudder for May 2015. 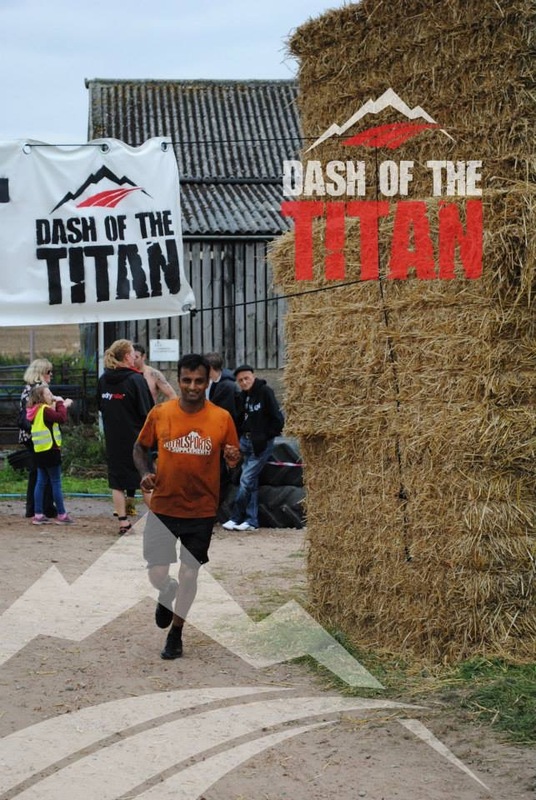 In September, he ran another 10-mile obstacle course, ‘Dash of the Titan’. After Tough Mudder and the Dirty Weekend, this was a little tame. Here is a couple of pictures from the course. 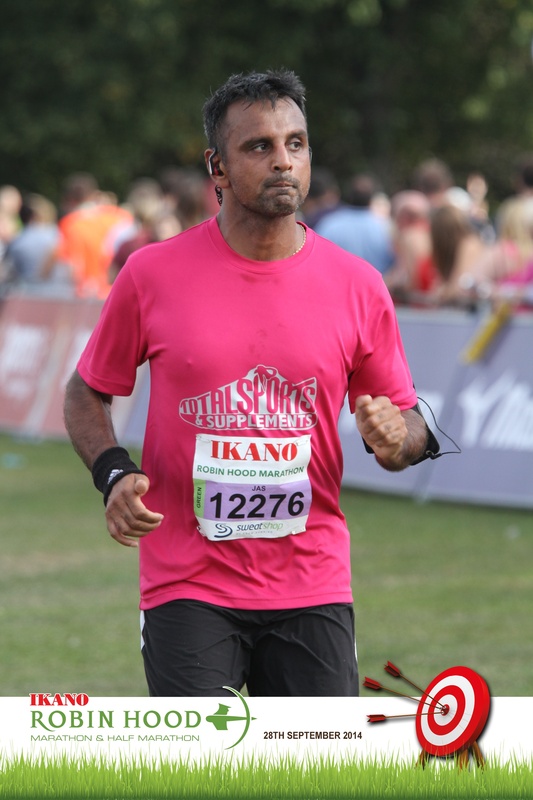 His second challenge in September was his worse fear, the Ikano Nottingham Robin Hood Marathon, 26.4 miles in the blazing sunshine. 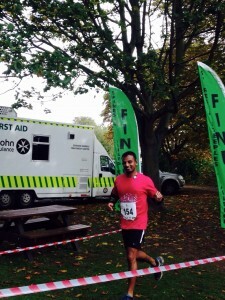 Having ran a couple of half marathons; this was a real test for him. 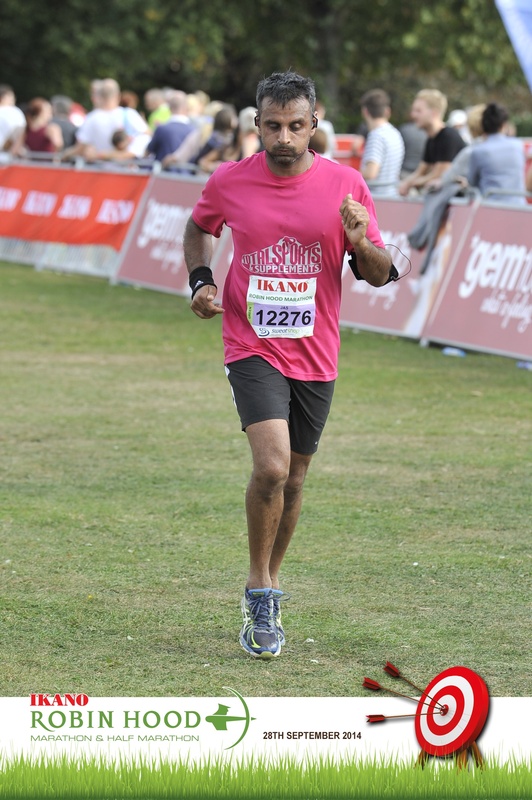 He completed it in 4 hours 28mins, and 05 sec, finishing 889th out of 1495 runners of the full marathon. A little disappointed, he was aiming for a sub 4-hour time. Here are two pictures of him on the course. Two weeks later, he ran a trail marathon, The Spires and Steeples, 26 miles, starting at Lincoln Castle, and finishing at the National Arts and Craft Centre in Sleaford, his hometown. He was welcomed over the finishing line by family and friends, and was rewarded with several pints Guinness. The Spires and Steeples run took him over is target of 150 miles within 13 Events. Here he is coming over the finishing line. To date Jas ran 157 miles in 13 Events. He has the Leicester Half Marathon to race on 26th Oct, and then one more to arrange.